Recent studies are showing that many people are avoiding gluten and supermarkets are seeing a rapid increase in gluten free sales, but what does this mean for NPD companies? (new product development). Gluten is made up of two protein groups; gliadin and glutenin, which are brought together when water is added to flour to create a dough, giving structure and elasticity. In addition to wheat it is also present in other types of grains from barley and rye. The intestine reacts badly to the gluten, causing damage to the lining of the small intestine. Which consequently hinders the absorption of nutrients and could gradually cause long term health damage. …So, let’s take a closer look into pies and pizzas and how gluten free trends are shaping the industry of frozen and chilled products? According to Mintel’s Category Insight: Pizza & Pies 2016 pizzas are still dominating 66% of product launches with most pizzas and pies remaining frozen. For NPD and companies like Innofood there still remains an area for further development into the chilled sector. 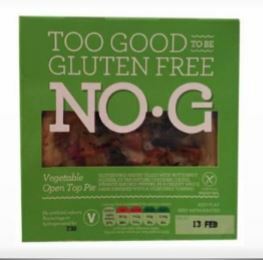 Allergen free and gluten free launches are definitely on the increase where “free from” products are occupying more space on supermarket shelves and sporting images of foods that look as good as their counterparts. This trend is really popular amongst non-coeliac and looks as though this popularity in diet is here to stay. So, what is available at the moment and how can NPD and companies like Innofood develop more innovative products in this sector? At the moment, various companies within Europe have developed pizzas which are allergen free and gluten free. 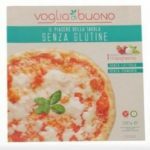 GEA based in Italy have created Voglia di Buono il Piacere della Tavola Senza Glutine Gluten Free Margherita Pizza, which apart from being suitable for coeliac diets, it is also suitable for people who have lactose intolerance. 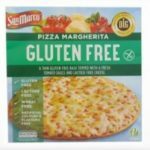 Green Isle Foods (France) have developed San Marco Gluten Free Pizza Margherita, which also uses cheese that is lactose free. Green Isle Foods is also appealing to a bigger sector. 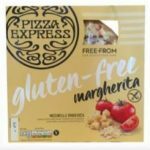 PizzaExpress (UK) have also produced a Free-From Gluten-Free Margherita. In addition to attracting coeliacs, customers who regularly eat there would also be tempted to buy the pizza. Apart from food production companies, restaurants are also entering into this sector as there are ever more gluten free dishes in restaurants, making this more appealing for loyal customers. In addition to pizzas, a variety of pastry dishes are being sold on supermarket shelves. 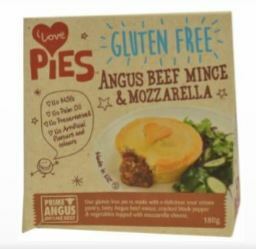 Apart from bring a gluten free pie, The Lovely Little Food (New Zealand) have also made the I Love Pies Gluten Free Angus Beef Mince & Mozzarella Pie free from MSG, palm oils and other ingredients. Riverside Bakery (UK) has also developed a gluten free pastry without hydrogenated fats and artificial ingredients. Riverside Bakery (UK) is another company tapping into allergen free foods. 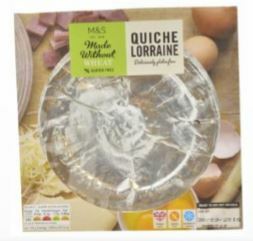 Marks & Spencer in the UK have a good variety of “free from” products including a chilled made without Quiche Lorraine pastry. Having an increasing number of people globally following a gluten free diet and suffering from gluten means companies can invest in companies like Innofood to create more delicious and innovative gluten free and allergen free food products to attract a bigger audience. As mentioned in Mintel GNPD Prepared Meals Review – UK, May 2016, a tiny amount of pizzas and pies are suitable for on the go, 1% of which are pastry dishes and 0.2% of pizzas, which feature the health claim. Yet, hope remains, three in ten (30%) of British consumers who have eaten pizza would be interested in trying out pizza to eat on the go (for example a single slice pizza or a mini calzone). There are pizzas, calzones and pastry dishes currently available on the go but not a lot of variety is available and especially for allergen sufferers. In Europe, a small handful of companies have branched out into pizzas and calzones from REMA 1000 and Crosta & Mollica both of which are not gluten free. 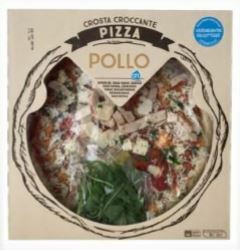 Crosta & Mollica in the UK have created a Classic Italian Street Pizza Americana, a convenient pizza for people on the go, by folding the pizza base into a quick and easy snack without the mess. REMA 1000 based out in Norway have a Prosciutto Ham & Cheese Calzon, which is stone baked and hand stretched adding an essence of quality for food to be eaten on the go. Handheld pastry dishes on the go have been cleverly thought about in places like China. Food Vending China have developed The Pie Company Beef Pie, made with quality ingredients and is also microwavable. This demonstrates that food on the go can be highly nutritious and tasty without economising on ingredients and available in vending machines to grab on the go. This is seeing so much growth and a worldwide phenomenon. It is an area for companies like Innofood to aid in the creativity and help food companies to invest and create products that are nutritious, using allergen free ingredients without compromising on flavour and texture. From growing interest, it is most likely that gluten free and allergen free product launches will continue to rise in pizzas and pies due the change in health associated with having a gluten-free diet for health and medical reasons. and the strong interest from consumers in following a celiac diet, despite not suffering from the disease. • gluten free and allergen free. • passersby and on the go lifestyles. • sweet or savoury breakfast pizzas and pies, ideal when travelling, commuting to work or even when running errands between places. Collaborating with Innofood could help give you alternative ideas, as mentioned in the above, in addition to suggesting alternative ingredients that could enhance texture, mouth feel and aid in better health, which is likely to be important for consumers. What does the industry look like for pizzas and pies in Spain? Mintel’s Category Insight: Pizza & Pies 2016 shows that there has been demand in NPD for pastry dishes. Vegetarian recipes for pizzas and pies has seen an increase and people are more concerned about local sourcing and traditional recipes, which would also increase value in this sector. 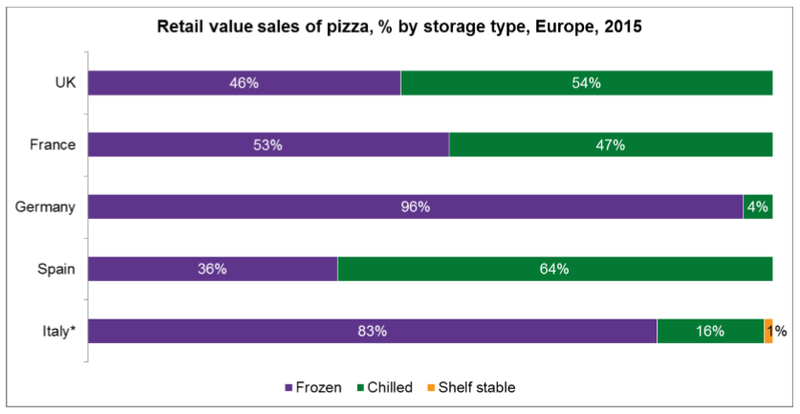 The demand for chilled pizzas are prominent in Spain at 64% in comparison to the rest of Europe. UK is at 54% demand and is then followed by France at 47%. This chart shows that shelf stable products are minimal and practically non-existent. This shows that there is a demand for companies such as Innofood and NPD to develop products foods that can be stored in the refrigerator but which have been processed so that they can be safely stored at room. This is an area which Innofood can support companies to develop this type of product which can cater for various needs from gluten free, vegetarian diets and using meat alternatives, suitable to be handheld and allergen free. Vegetarian pizzas and pies on Europe have seen an increase and seen the highest level of product launches. According to Source: Mintel GNPD, Prepared Meals Review – UK, May 2016 20% of British consumers who eat pizza would be interested in trying vegetarian meat alternative pizzas. The world of pizzas and pies has drastically changed and the demand for innovative products has increased, due to allergens and change in lifestyles. Here is a look at products which take local sourcing as an important issue to give the market more authenticity in products people consume. Vegetarian launches have increased for pastries which bare the EU organic leaf and vegetarian logos but what is more interesting consumers can now get to customise their pizzas. Companies are including sauces, oils and actual ingredients to give their consumers the option of customising their own pizzas. Spain in particular has created a healthier formulated pizza using the latest healthy cereal; tritordeum. Companies are definitely thinking outside the box and giving consumers a variety of products that are keeping them interested. Maestro di Modena (Spain) have made a handmade pizza base from Tritordeum, a cereal which contains durum wheat and barley. 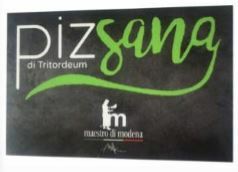 Maestro di Modena Pizsana Tritordeum Pizza with beneficial health benefits. 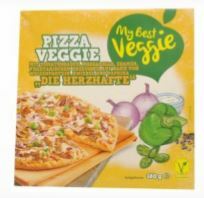 Lidl (Germany) have developed My Best Veggie Hearty Veggie Pizza, topped with vegetables and bare the V-Label from the European Vegetarian Union. Spar (Austria) have developed Spar Veggie Vegan Vegetable Strudel, packed with vegetables and suitable for vegetarians. 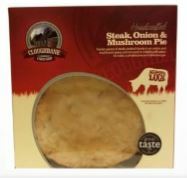 Cloughbane Farm Shop (UK) are dedicated to sourcing meats within 50 miles, ensuring Cloughbane’s Farm Shop Steak, Onion & Mushroom Pie is always local. 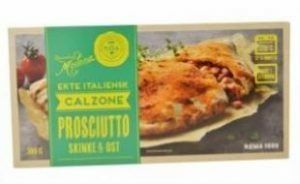 Albert Heijn (Netherlands) have created a customisation experience by including a sachet of rosemary oil and a arugula in their AH Crosta Croccante Chicken Pizza. Bc Bio (France) is another company using organic ingredients and quality produce to create its Alice & Bio Provençal Style Quiches. Consumers are interested in products that suite their lifestyle and dietary needs. Pizzas and pies on the go that are allergen free and gluten free would be a way to attract more consumers. Portable pies and pizzas offer potential for attracting passersby and on-the go lifestyles that many consumers have. Local sourcing and vegetarian recipes are on the rise and highlighting this in products including products that are gluten free and allergen free could also attract more consumers who are health conscious. There are still quite a few categories that have a low level of gluten free innovation, like sauces, beer, chocolate etc. Innofood’s experience can help companies to explore further possibilities within these food sectors, for further information please contact us at info@innofood.es or call us on +34 958 75 06 07. Images are from Mintel’s Category Insight: Pizza & Pies 2016.